We used plant species commonly found in the villages. 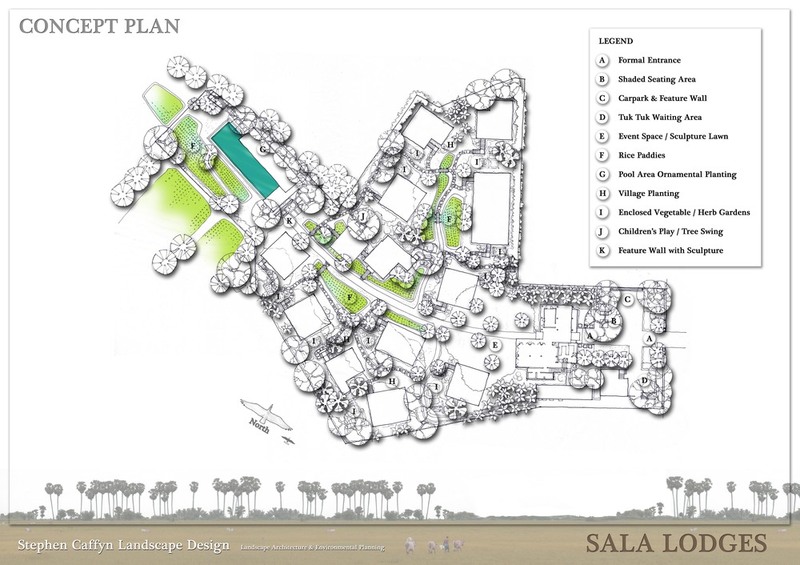 The Concept masterplan of Sala Lodges resort by Stephen Caffyn Landscape Design complete with rice paddies, sugar palms and vegetable gardens. 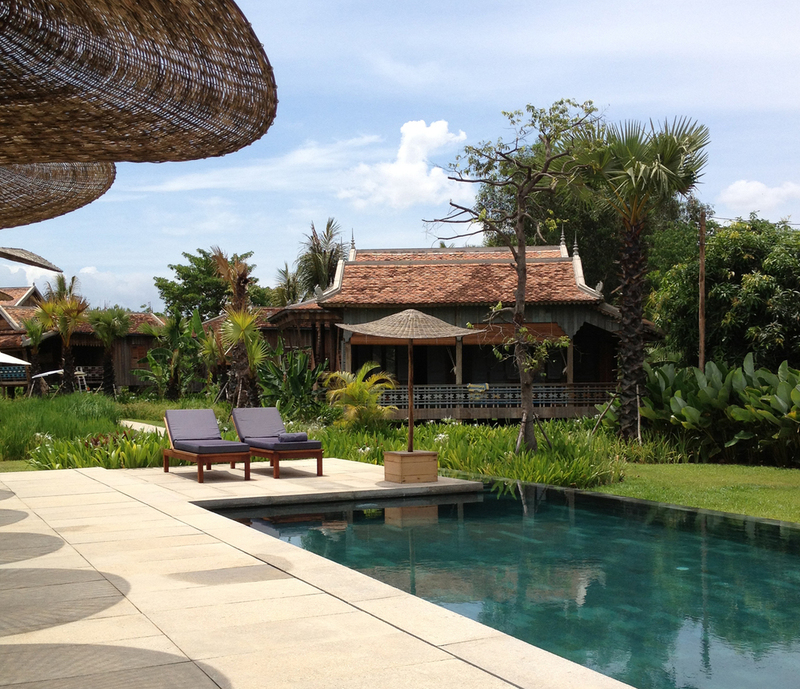 The traditional log bridge is used to cross the rice paddy to the lounge area with it's long dinning table. Each house has its own vegetable garden and these are used to supply the kitchen with fresh vegetables, fruit, herbs and spices. Pineapples can be seen growing in the raised vegetable garden bed in this view. The resort chef can often be seen roaming the gardens in the morning harvesting the produce for use in the kitchens. Our current projects include leading consultant roles for the major projects in Singapore such as The Round Island Route, The Learning Forest at Singapore Botanic Gardens; and Kranji Marshes. We are a seeking enthusiastic and versatile Landscape Architect as well as Technical Support staff to work on a wide range of projects at all stages from design to construction. Interested Candidates may apply by email to scld@land-arch.net attaching your CV and Portfolio in PDF format only, file size not to exceed 8MB. NB. rar format files will not be accepted.